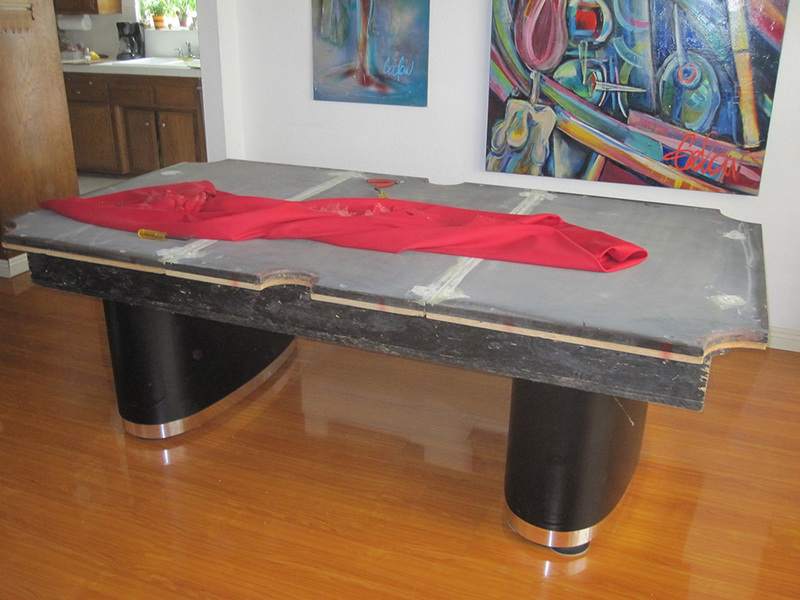 Here’s a pool table we moved and refelted for our clients in San Clemente, CA. 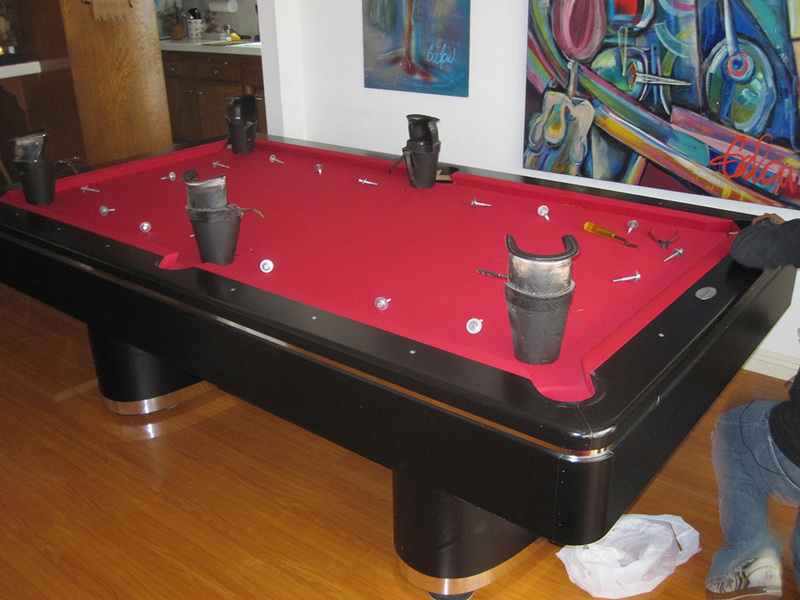 This pool table was purchased used from a private party on Craigslist. 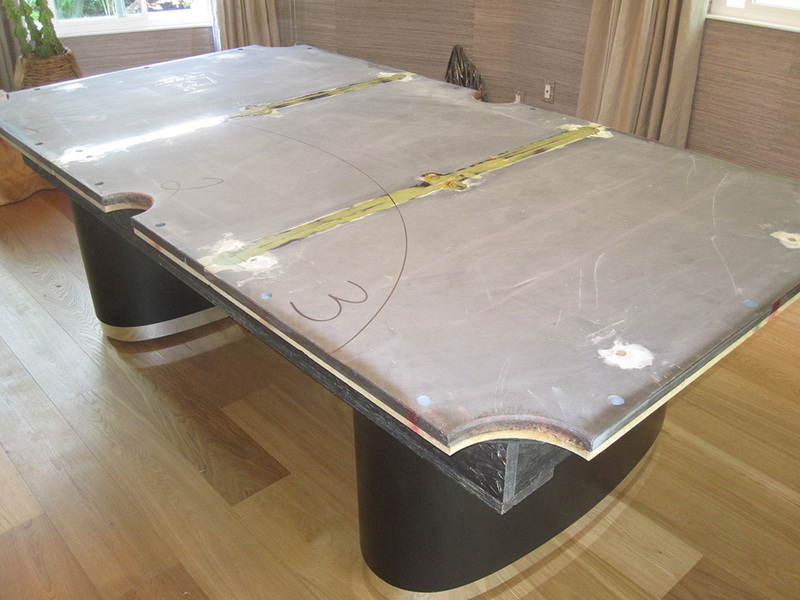 We started this move out in Tustin, CA. 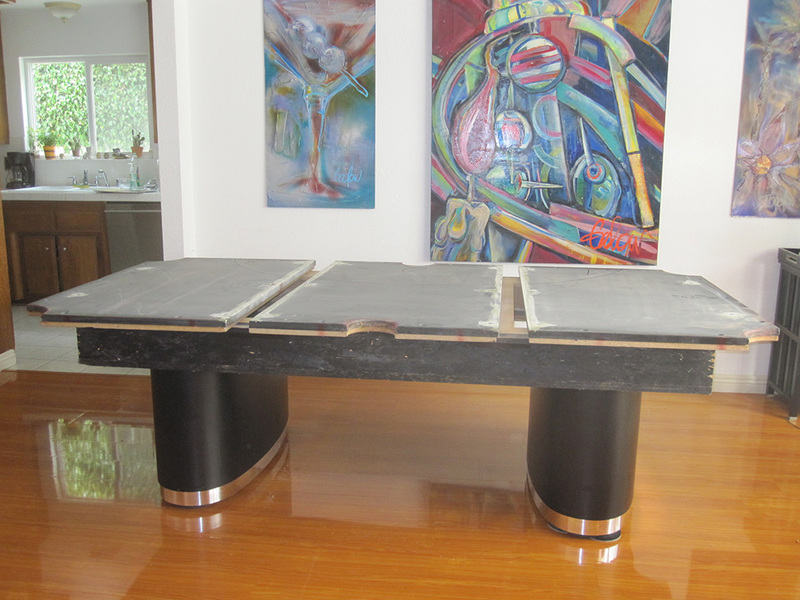 When we arrived at the former owner’s house to disassemble this Olhausen modern style. 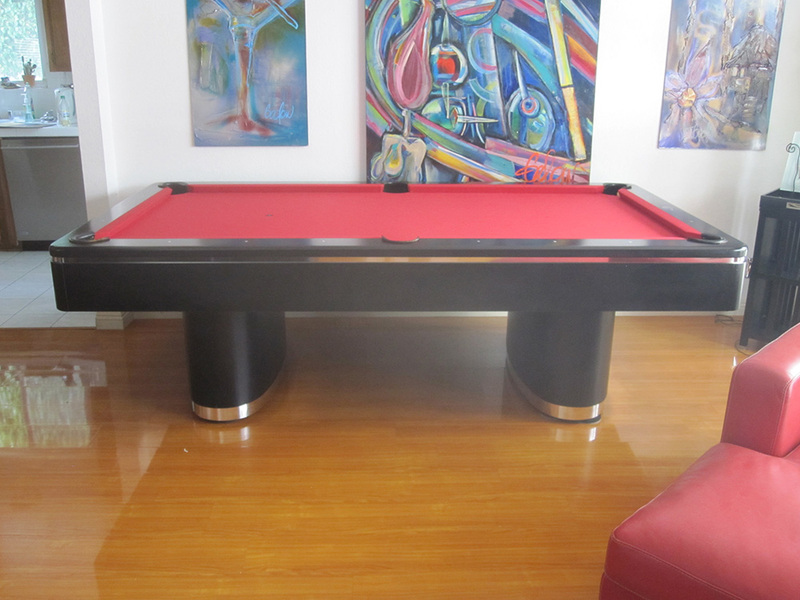 I noticed that the pool table had been slid against the wall. 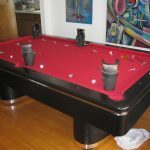 I thought this was a little odd, so I asked the lady of the house why. 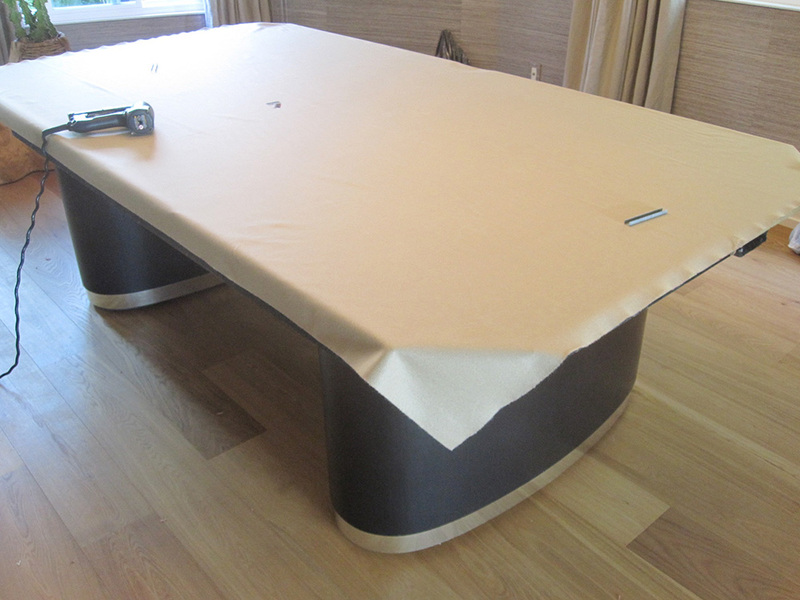 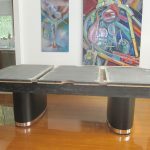 She told me that the pool table was not used very much, so I guess she had placed furniture sliding pads underneath pool table legs. 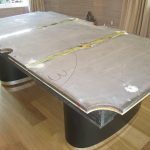 Whenever someone wanted to play, they slid the 900 lb. 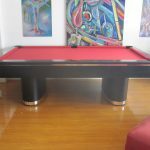 pool table away from the wall, played their games, then slid it back?? 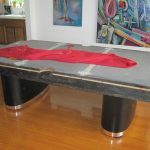 Well, as you can see, this pool table table started out with bright red felt. 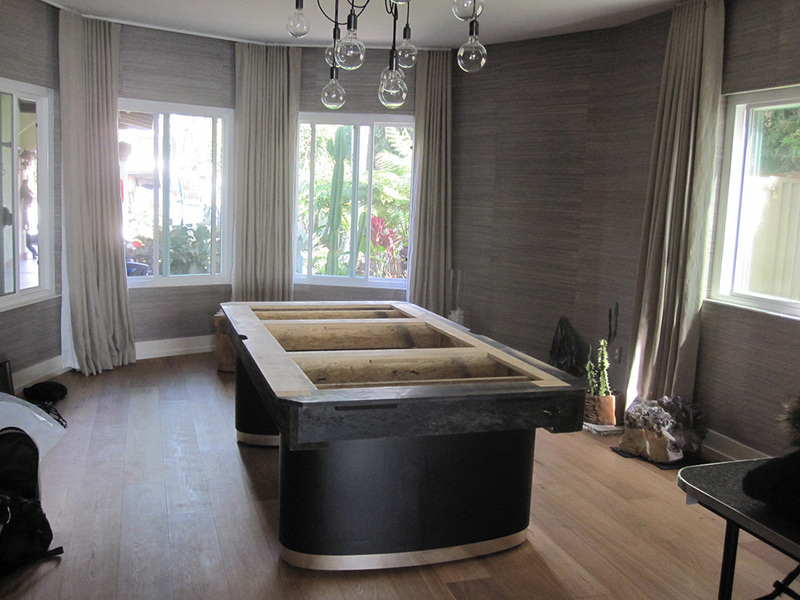 The new owners, however, weren’t fond of this color. 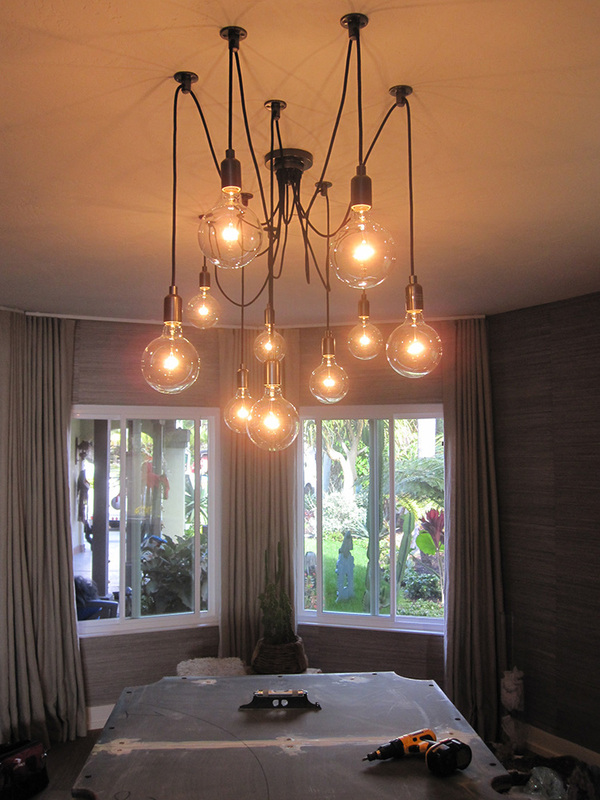 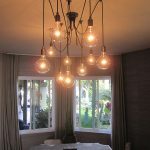 They wanted something that would compliment their newly modernized San Clemente home. 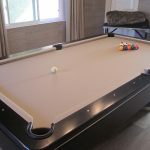 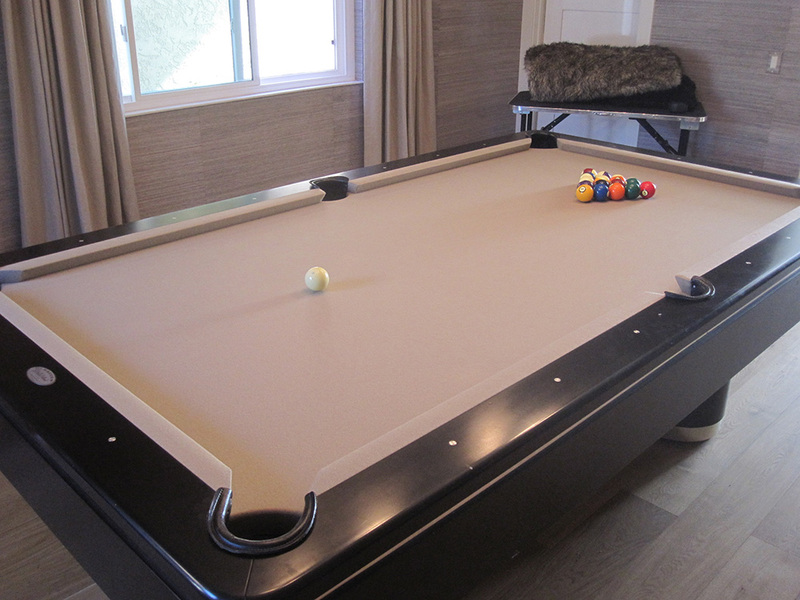 My clients chose to have their new game room acquisition recovered with Mali 10820-f Khaki colored cloth. 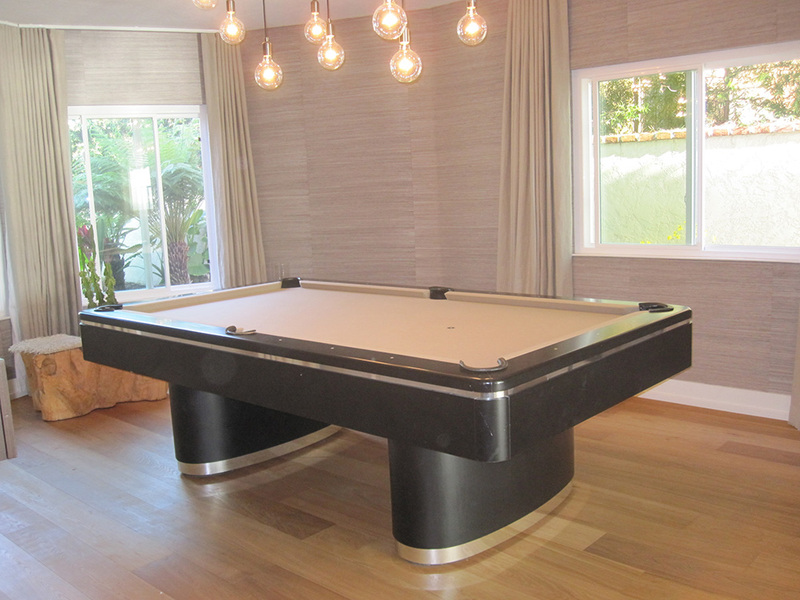 This color was a perfect match for their modern decor.